Visiting Israel and have a limited amount of time? No problem! Here is the best Israel has to offer. 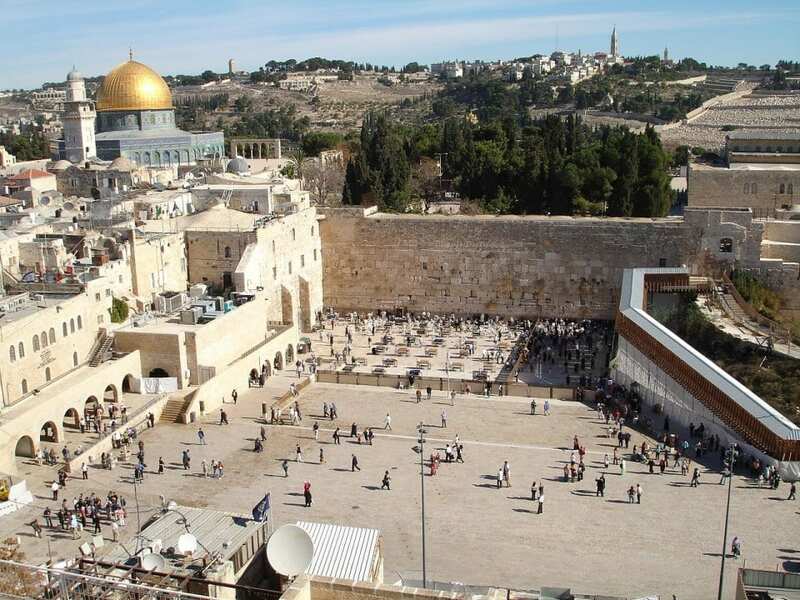 We collected for you the 10 attractions you should definitely see while visiting the holy land. 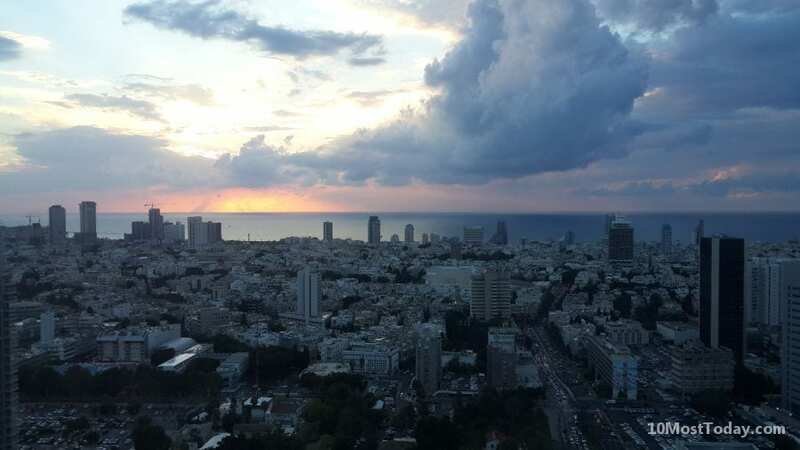 Tel Aviv is Israel‘s commercial heart and cultural center. It has a world famous night life, great beaches, incredible restaurants and more. Tel Aviv is also one of the most gay friendly cities in the world. It is often referred as the one sane place in the entire middle east. Unlike Tel Aviv that is just over 100 years old, the old city of Jaffa, right next to Tel Aviv traces its roots to biblical times and possibly even before. 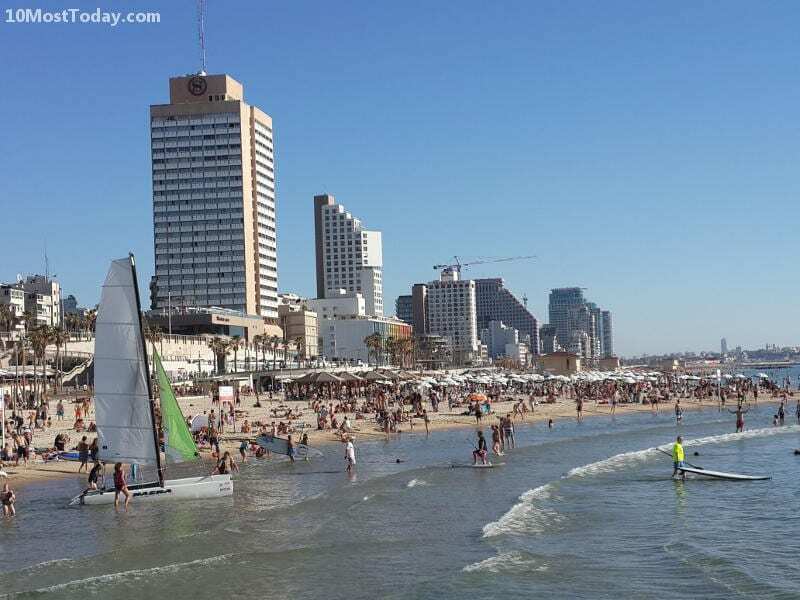 Click here for a list of the best attractions in Tel Aviv. The capital city of Israel and one of the most sacred places in the world to the three major religions: Christianity, Judaism and Islam. The ancient Old City is encircled by imposing stone walls that date to the Ottoman period and contain within it such holy sites as the Western Wall – the most visited site in Israel and one holy to Jews, The Dome of the Rock and Church of the Holy Sepulchre. Click here for a list of the best attractions in Jerusalem. At 1,360 feet below sea level, the Dead Sea is the lowest point on earth. Its water is about ten times saltier than the ocean’s, making it possible to float on the water without having to move a finger. Be careful though not to splash water in your eyes – it can be very unpleasant! The mineral-rich waters can be very beneficial for those with skin problems. It is called the dead sea since it’s too salty for any live organism to live in. So all you can find inside the water is more and more salt. Yad Vashem in Jerusalem is the largest Holocaust museum and memorial in the world. It was established in 1953, with a new part of the museum opened in 2005. There are numerous exhibition halls within its dramatic central triangular structure. No visit to Israel is complete without it. Galilee is a large region in northern Israel. The region is a beautiful highland, with green fields, agriculture and so much history. The Sea of Galilee, where Jesus Christ walked on water, the ancient cities of Tiberias, Sefad and Acre, and the Jordan river are all part of the beautiful Galilee. Do not miss it! Caesarea is among Israel‘s most wonderful archaeological sites. It was built over 2,000 years ago by Herod the Great, who dedicated the port to Caesar Augustus. Ruins from the Roman and Crusader periods are framed by stunning sea views, and the restored ancient Roman theater is now used for concerts in the summer. Situated on the Red Sea, Eilat is Israel‘s seaside resort site. In the summer it is visited by many Israelis and tourists who sunbathe by the sea or pool. You can go scuba, snorkeling, swimming with dolphins, or participate in many other water sports. At night many clubs are open till the small hours of the night. 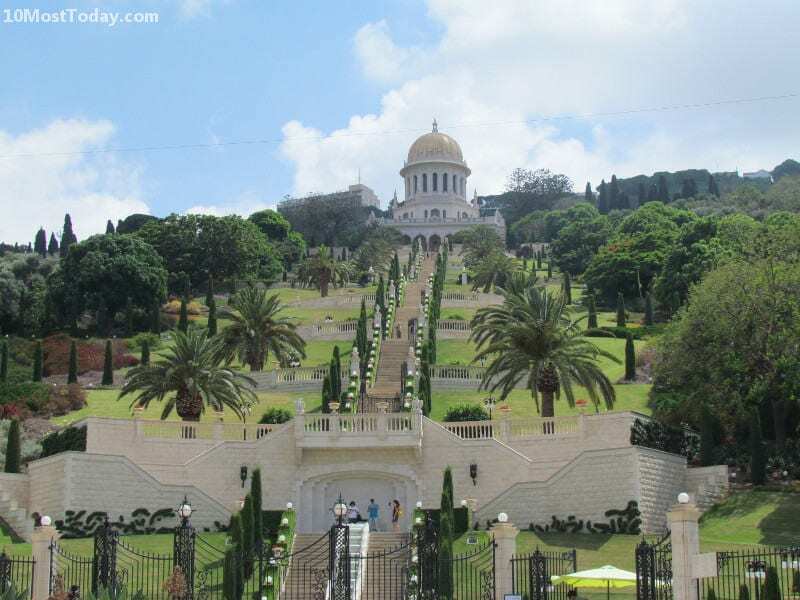 The Baha’i gardens in Haifa must be one of the most beautiful gardens in the world and can be seen from almost anywhere in the area. They are a memorial to the founders of the Baha’i Faith. Also known at the “hanging gardens”, they span along a broad staircase of 19 terraces that extend up the northern slope of Mount Carmel. The central terrace houses the gold-domed Shrine. The gardens are a UNESCO World Heritage site. Ramon Crater (Makhtesh Ramon) is an amazing geological feature located in Israel’s desert – the Negev. The crater is 40 km long and 2-10 km wide, almost heart shaped, and naturally carved out by water and climate erosion. The largest crater in the world, it sinks some 500m at its deepest point. Get an amazing view of the Ramon crater from the Mitzpeh Ramon visitor center, where you can stand right on the edge, do abseiling or book a room in the new hotel located right on the edge where you will have a private swimming pool overlooking the crater. The Negev also offers a pick at its wonderful wildlife.